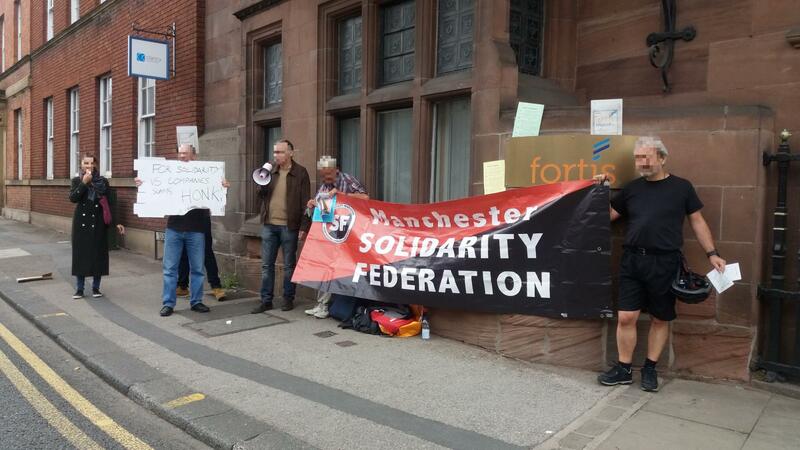 Monday 18 June saw Manchester Solidarity Federation join tenants in a protest outside Fortis Student Letting in Altrincham, Greater Manchester. The protest is the latest event in a long running campaign being organised by the tenants because of the appalling conditions in the Fortis run building, where they are living. Throughout their stay, Fortis have refused to carry out even the most basic maintenance of the building. The tenants went weeks without water, months without heating and had to live in rooms covered with mould. On one occasion, water poured through a ceiling light fitting for weeks, with Fortis making no attempt to repair it. This was despite numerous complaints by tenants. Why won't you talk to your tenants?